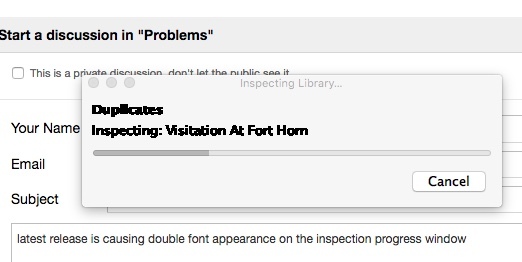 latest release is causing double font appearance on the inspection progress window. Are you the same person, i.e. @gldsmrs? No that is not me but its the same issue they are having. Wasn't there on 5.1.5 or any prior release. Awesome - thanks for checking this out.